Treat Bees for Mites – Why Timing Matters. A small, reddish mite about the size of a pencil mark. This is the Varroa Mite. They are responsible for the deaths of millions of hives each year. One of a beekeeper’s most important decisions is knowing when to treat bees for mites – and to make sure the treatment worked! Are Mite Treatments Always Necessary? 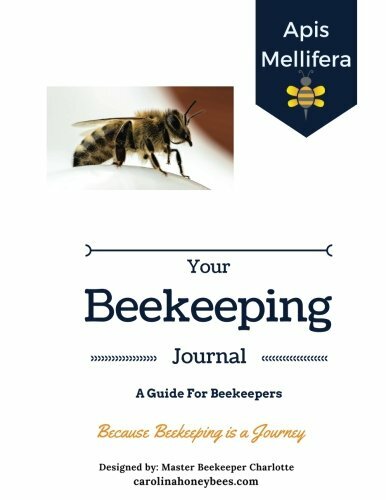 For most beekeepers, it is a necessity to treat bees for mites several times a year. Some regions of the country have a bigger problem with mites than others. And, some strains “genetics” of honey bees are more susceptible to mite infestations. Many beekeepers strive to move away from the use of chemical varroa mite treatments. The future looks promising as bee breeders work to breed mite resistant bees. Progress is being made but the vast majority of beekeepers will have to find a way to control mites. For most of us, failure to control varroa mites in the hive will result in a mite crash. This means that the bee colony dies as a result of mite infestation. 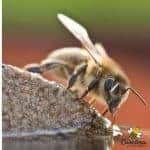 There are several treatment methods approved to manage the level of varroa mites in a bee colony. But, none of the mite treatments are fool proof or without negative effects. We all dislike adding chemicals to our hives. But, the desire to avoid treatments in hives with low mite numbers can lead to a late season mite explosion. Late Fall Absconds or Mite Bomb? I often hear of late Summer or Fall absconds in my region. 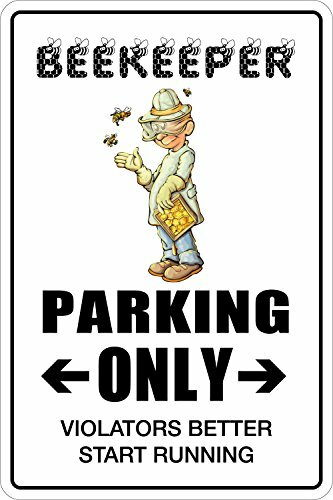 An “abscond” is the term used when all the bees in the hive are gone. This differs from swarming – a natural process in healthy hives that split to form 2 colonies. Reproductive swarms leave part of the bee population behind. In absconding, none or very few bees remain in the hive. I wonder if some of these empty Fall hives are true absconds or colonies collapsing from large numbers of mites. No one wants to use mite treatments unless necessary. Any treatment plan causes some stress to our honey bee colonies. And beekeepers with a lot of hives find it expensive to treat bees for mites correctly. Bee researchers have developed treatment thresholds to help beekeepers decide when mite treatment is needed. Often called the “economic threshold”, research says that when the level of mite infestation reaches a certain level, the colony will experience decline and be less productive. If mite growth is allowed to continue, the colony will die. Unfortunately, these numbers are “soft” and tend to vary somewhat from one region to another. And, they vary from one expert to another and one year to another. They are guidelines not rules set in stone. 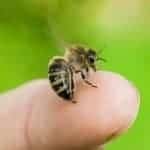 In short, the honey bee colony can deal with a small number of varroa mites. The treatment threshold describes the level of mite infestation that damages the health of the hive. Once this level is reached it is time to decide how to treat bees for mites. Before we can decide to treat our hives for varroa mites, we need to know how many mites are in the hive. Let me say this, can you see mites on adult bees? Yes, you can. But, you can not use visual inspection to judge your mite levels. You would not be able to see the vast majority of mites that are reproducing in the brood cells. Do not rely on visual inspection!! 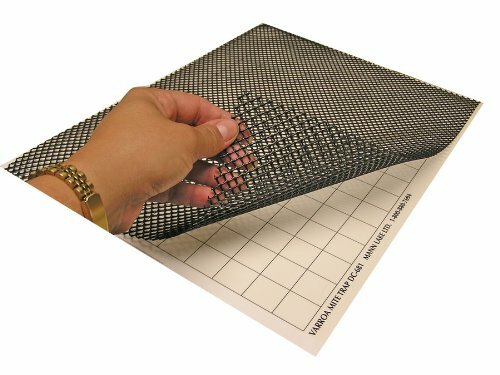 There are several popular methods for performing mite counts on your bee hives. You can read more about performing mite counts in my post Varroa Mites and Bees. The new beekeeper will find many opinions on what to do about varroa mites. The fact is that unless you have a very mite resistant bee you will have to do something. 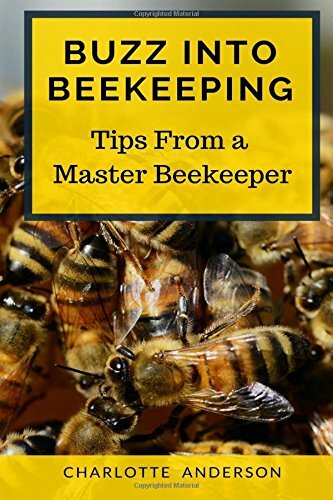 Don’t try to practice treatment free beekeeping unless you have bees bred for that management style. How many varroa mites are too many? Most researchers agree that a varroa infestation rate over 3% needs management. Mite Counts from the Brood Nest – How Many are too Many? Taking ½ cup (measuring cup) of bees from frames in the brood nest yields roughly 300 bees. If we find 9 varroa in this number of bees, you have a 3% infestation level. i.e. 9 mites/300 bees = 3 mites per/100 bees. At this rate, I would definitely treat for varroa mites with an approved treatment method. But what if you find a 2% infestation or even 1%. Can a single mite count give true results? Some beekeepers promote multiple counts for accurate numbers. Then, you have to consider if you can take a chance on this lower mite count staying low. Should You Treat Bees for Mites With Infestation Levels Below 3%? Mites are a big problem in my region. Treating for varroa mites is always necessary. In years past, my hives with low mite numbers in July were full of mites and near death by November. Still mite checks are a good way to monitor your colonies. Finding no mites or a 1% level may encourage you to watch and wait for a bit. If the infestation level is 2% or greater, you have a decision to make. Mites counts do have value. You can check to see if you need to treat for varroa mites and if you did – did it work? Why do many beekeepers have low mite infestations in July and dead bee hives by late Fall? These large, robust colonies seem to dwindle or disappear very quickly. To begin to understand, we must look at the life cycle of each of the players in our game. The life cycle (population growth) of honey bees is not the same as that of mites. Varroa mites reproduce inside bee brood (capped cells containing baby bees). We would think that as the bee population grows and wanes – so would the mite population. But this does not happen. The journey of the individual honey bee begins with an egg. The queen bee lays an egg that “hatches” into a larva after 3 days. This larva feeds and grows in the cell until it is ready to pupate (around day 7). Drones are male honey bees. They have a slightly longer brood cycle. Beginning as an egg, then larva, drone brood is capped on day 9 or 10 and emerges on day 24. Drone bees spend 3 more days in the sealed cell. Varroa mites reproduce inside the capped brood cell. Varroa mites go through several stages of development. A mated female lives about a month – during the summer season. The mated female mite (foundress mite) rides around on an adult bee (worker or drone). She feeds on the bee by biting through the bee exoskeleton. This is called the “phoretic stage” of the mite life cycle. You can see a mite on your bee but usually the mites are on the underside. This stage of life lasts 5-11 days when brood is in the colony. During Winter months with no brood, the phoretic stage can last for months! The foundress mite jumps from bee to bee. This facilitates the transmission of viruses between the bees. Many mite treatments only kill the phoretic mites – not the ones inside brood cells. Treating for varroa mites may need to be done in phases to catch mites out of the cells. When the mite is near a bee larva (almost ready to pupate), she drops off the adult bee and enters the brood cell. Hiding under the brood food in the bottom of the cell, she escapes notice by the workers – who cap the cell. Now the developing bee larva and foundress mite are locked inside the cell. Varroa mites can only reproduce inside the brood cell. The new female mite mates with her brother inside the cell. They feed on the developing bee, weakening it, and possibly spreading disease. When the new bee emerges (assuming it is able to do so), the mother mite and her mated daughter emerge as well. The male mite dies inside the cell. So, 1 mite went in and about 11 days later – 2 came out. These 2 fertile female varroa mites enters a new cell and both produce a viable daughter. The original mother will be nearing the end of her life cycle. But we still have 3 females inside the hive that originated from the first female or “foundress mite”. Varroa mite numbers triple each month – by reproduction in worker bee cells. Drone bees have a longer brood cycle than workers – 24 days. And, varroa mites prefer drone brood over worker brood . Mites can identify the type of brood in a cell through pheromones. (They “smell” different). When the foundress mite enters a drone larval cell, it will be capped for 14 days not 11 days. On average, we can expect the mother mite and 2 viable daughters to emerge from a drone cell. This gives us 3 mated females from 1 drone brood cell. These 3 mites find another drone cell. 14 days later, 8 viable mites emerge (because mom is at the end of her life cycle). In just a little over a month (36-38 days) 1 foundress mite, became 8. The Varroa mite population in a colony will triple in a month when reproducing on only worker brood. But with drone brood inside, the mite population can double every 2 weeks. Mites prefer to ride around on house bees or “nurse bees” near the brood nest. That is why we take bee samples for mite counts from the brood nest area. Studies indicate that for every phoretic mite on a bee, there are 2-3 more mites under the brood cappings. In July, if you find 100 mites on the house bees, there are about 300 under the caps for a total of 400 mites. If the mite numbers triple in a month, that means 400 mites (July), 1200 (August) and 2400 (September). And that is when workers are used for reproduction not drones! Drone brood will allow even more mite reproduction. By mid July, many colonies have already started to slow down egg laying. The queen goes from producing 1,500 eggs a day in mid-Summer to 500-600 a day in September. As mite numbers rise and bee brood numbers are reduced, a point is reached where every brood cell has a mite. Older bee foragers are dying off due to age. Our house bees that take the place of foragers are not healthy. Some of them will die early or succumb to diseases that were spread by the mites. Foraging is less effective and resources scarce. We have unhealthy adult honey bees trying to rear strong bees for winter. These sick nurse bees are not able to properly feed the larva or even keep them warm. The overall health and longevity of every bee in the colony is now affected. In just a few weeks, a large honey bee colony that seems on track for over-winter success can crash. Older bees are dying, new adult bees are sick and short lived and larva are not being reared properly. It is recipe for a mite crash disaster. In this situation, outside observation of the honey bee colony was deceiving. The colony looks busy with bees working. But the damage is being done inside until it reaches a point of no return. This is how we hear of a colony that had a good sized cluster in late August and by mid-September the hive is empty. We blame absconding when the real issue was varroa mites. Should You Treat Bees for Mites – All Hives-Every Year? I am not telling you that you must use chemicals in your bee hives. However, you should closely monitor varroa mite numbers and treat for varroa mites if necessary. Don’t wait until Fall, it may be too late. 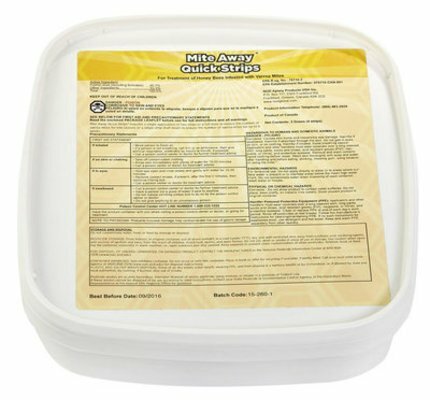 Choose an approved varroa mite treatment and reduce mite infestation before the colony is damaged. Also, very important – after you do your mite treatments, check to be sure that they worked! Only you can make a decision regarding when or how to treat your bees for mites. 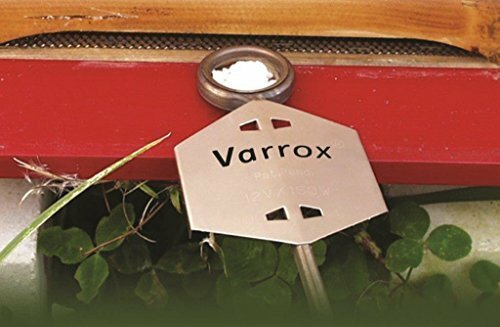 Your location plays a part in deciding if you need to treat for varroa mites. And, the level of mite resistant in the bees in your hives. I believe mite resistant bee breeding is the hope for the future. I have not found a bee that can exist treatment free in my region, but I remain hopeful. Until then, I will keep my mite count equipment handy.